Small miscalculation of time in the youtube video, I counted that 1 second was exactly 60 frames. 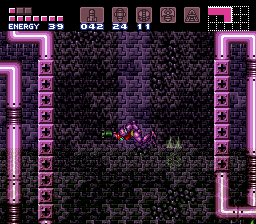 This is a new 100% run for Super Metroid that aims for ingame time, in that regard it beats the old one by 4425 frames, and finishes with a new final time of 00:34 as opposed to the last ones 00:36. In realtime it is 697 frames slower, partly due to aiming for ingame time but also in large part because of the more accurate emulation. It should be noted that this run would have beat the old one in realtime as well if made on the obsoleted emulator that was used for the last run. The run has been in the works in planning stages for years, with new tricks and strategies being constantly researched, in particular from about 1.5 years ago and forward. The run itself was started a little more than 3 months ago and has been worked on very intensively throughout that time. The improvements come from tons of minor optimizations, new strategies, a slightly altered route as well as aiming for ingame time. I chose to aim for ingame time because in my opinion it is a more entertaining goal to watch. In particular optimizing door transitions for realtime often looks very ugly and can break the pace of the run. 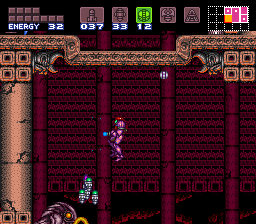 Seeing as this is a 100% run and therefore mainly exists to be entertaining as opposed to beat the game in the fastest imaginable time, I thought this was a reasonable tradeoff. An effort is still made to optimize realtime by minimizing lag and such wherever it doesn't affect ingame time. This run employs a slightly altered route compared to the last one, which was originally chosen for being faster ingame but ended up saving enough time that it might be faster in realtime as well despite adding a few door transitions. 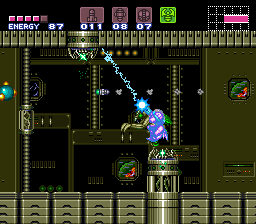 Chargebeam and Wavebeam are picked up much earlier in the run, which makes possible several time saving tricks throughout the run, as well as enabling a bunch of minor improvements. 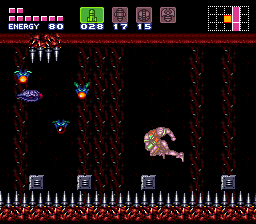 It also allows many more drops to be collected without delay which is crucial for the Lower Norfair part of the run. As a small aside/interesting note, this run uses every single item and hidden technique at some point for timesaving purposes, unless you count the individual PB combos, which I think is the first run to do so. 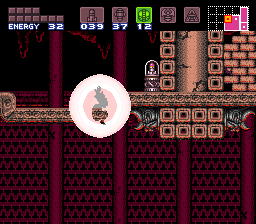 I tried to choose screenshots that contained situations unique to this particular run. The frame numbers of the screenshots are in order of appearance: 53663, 95700, 95818, 129201, 145618, 148705, 184017, 184240. Huge thanks to Eye of the Beholder and Hero of the Day for helping me throughout the making of the run with feedback, suggestions and support, as well as discovering countless strategies in the planning stages. 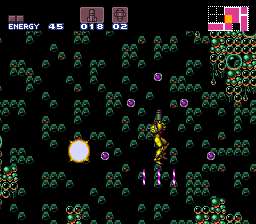 Saturn's RBO, his ingame run and his GT Code run all helped me greatly when making my run, setting a standard of optimizations that I was rarely able to exceed. 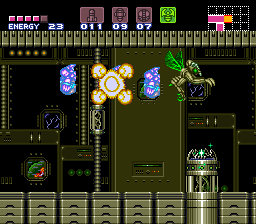 In particular I should thank him for the wave pattern on Draygon in his ingame run and his manipulation on MB while the baby metroid is attacking her in his RBO, which I ended up basically copying as particularly the latter one didn't have logical way to approach optimization of that I could, and his result appeared pretty much perfect and saved me countless hours of blind testing. Taco and Kriole originally intended to work on the run with me but backed out for a number of reasons, still they did provide some help during the hell run in norfair, and their runs have also contributed many tricks and discoveries that were useful in the making of this run. 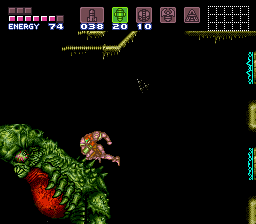 4N6 should also be mentioned as he provided a handful of suggestions for strategies that could be used in the run, and the rest of the Super Metroid community should of course also be thanked. Mothrayas: Great improvement. Accepting as an improvement to the currently published movie.